I'm Md. 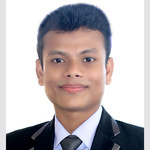 Nayem Hossen with more than 3+ years of experience in Web Research, LinkedIn, E-mail Marketing, Lead Generation, Data Entry and other related jobs. Don't be hesitate please contact me first before placing an order. It must help both of us to make sure good working quality. This Data Almost is ready. If I get an order from my client then I can serve it. Communications Manager at Medical Affairs Center of Influence and a full-time freelancer with 3 years experience about all the Search engine and Admin Support Related work, I can offer...Read moreCommunications Manager at Medical Affairs Center of Influence and a full-time freelancer with 3 years experience about all the Search engine and Admin Support Related work, I can offer 100% satisfaction guarantee and Quality work. I'm working with only responsible clients, who ready to contact with me regularly & Need Quick Delivery.